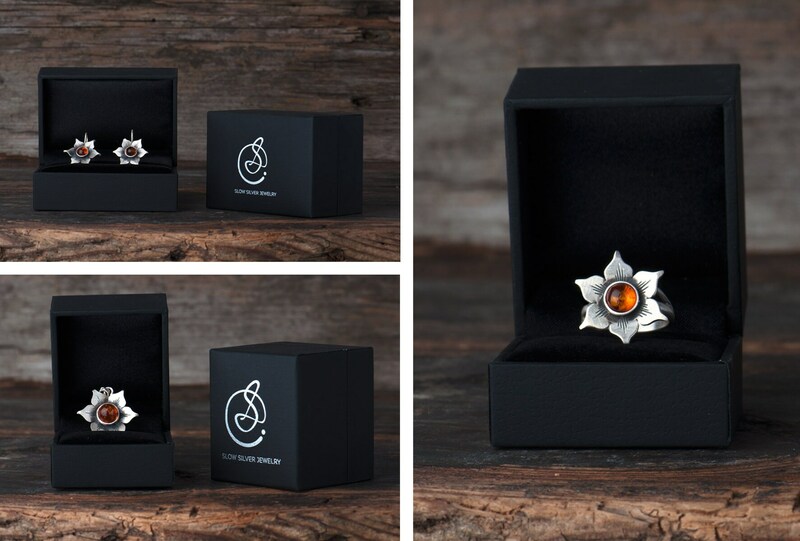 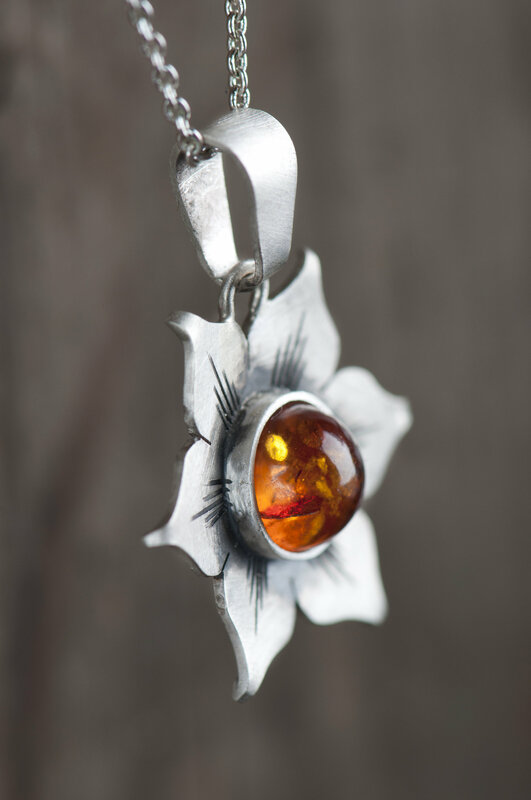 The design of the floral jewelry was inspired by a sunflower. 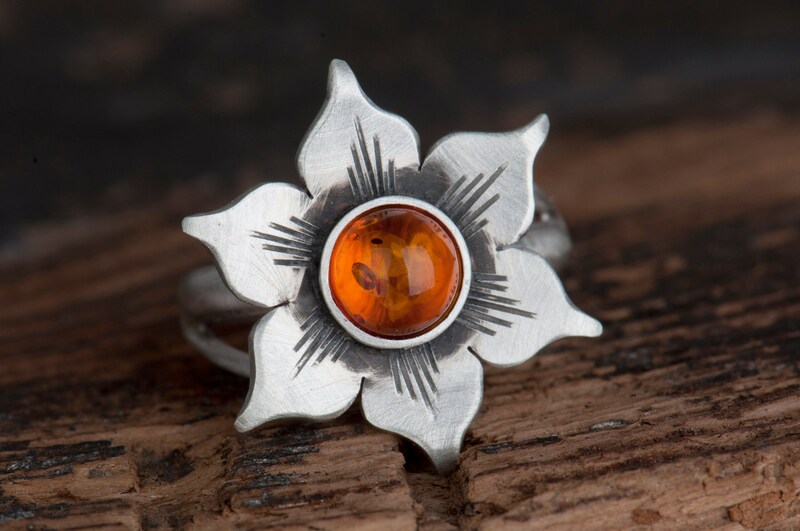 It was one of my oldest creations made a few years ago - I still have my first ring in this shape. 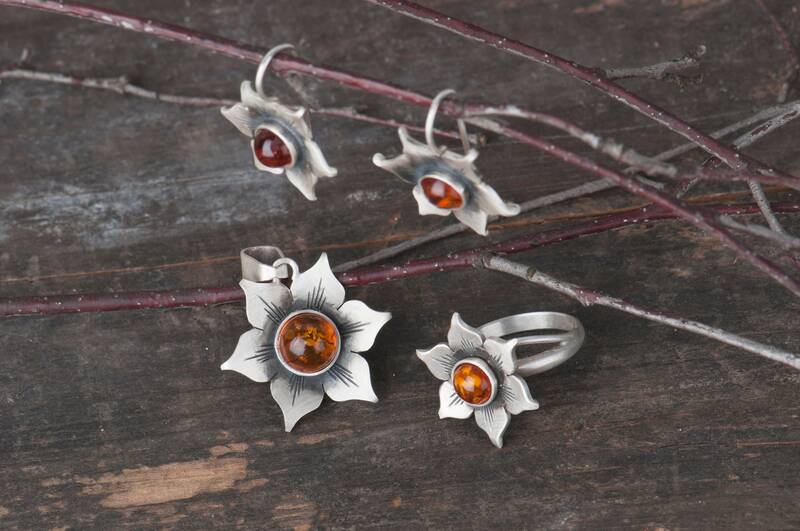 During that time I learned many new things and the idea of a flower jewelry has evolved in my mind. 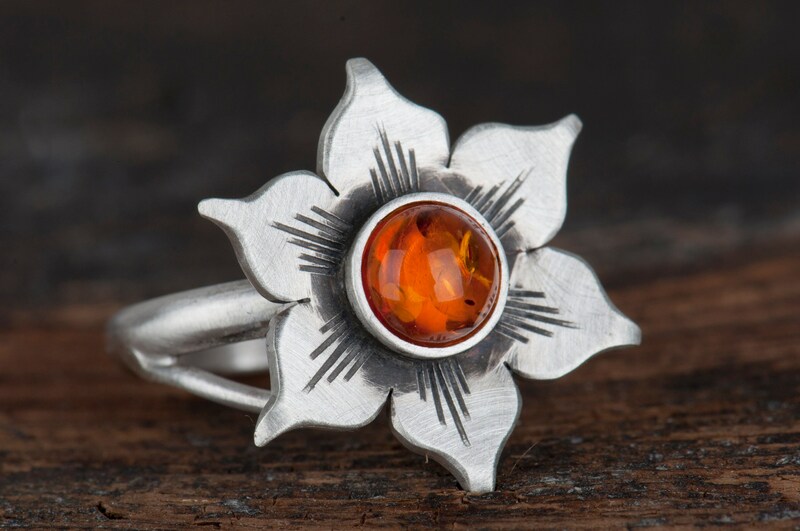 First I focused on the amber ring which was intended as an everyday jewelry. 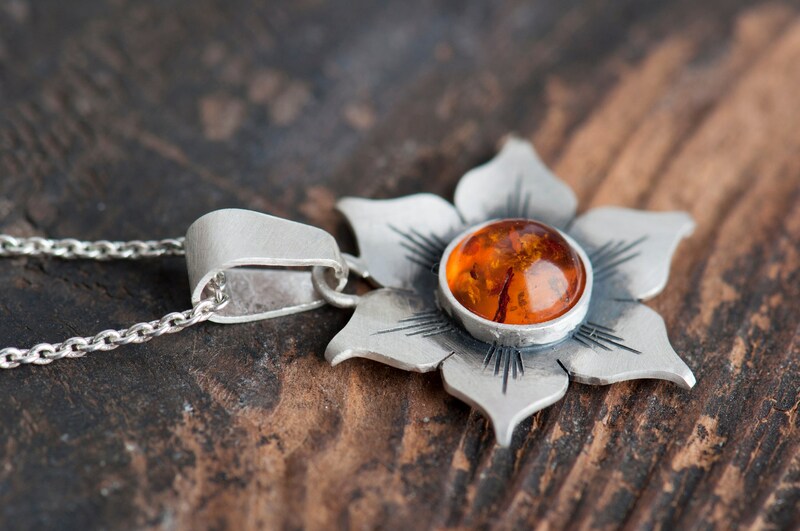 Most important for me was making a comfortable but decorative piece of jewelry. 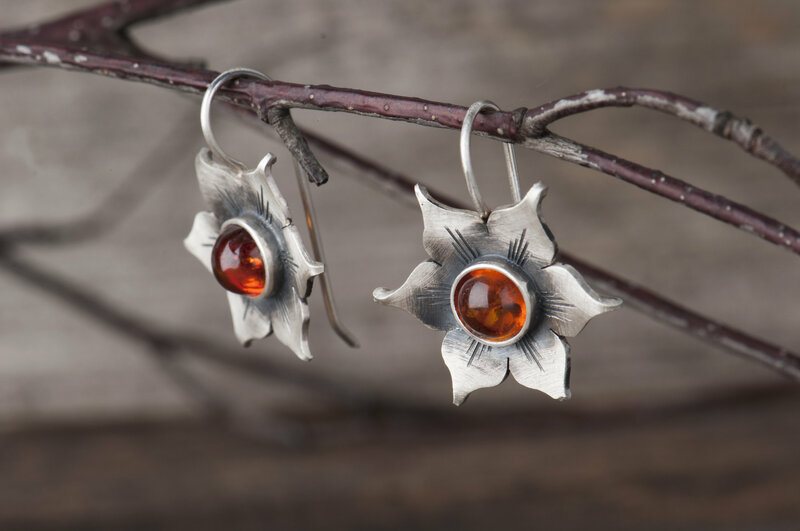 The result was truly satisfying so I decided to make a whole set of floral amber jewelry. 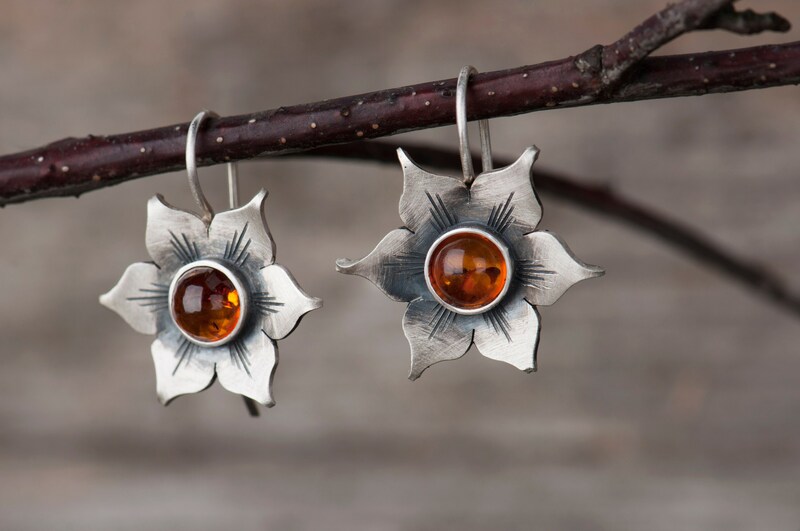 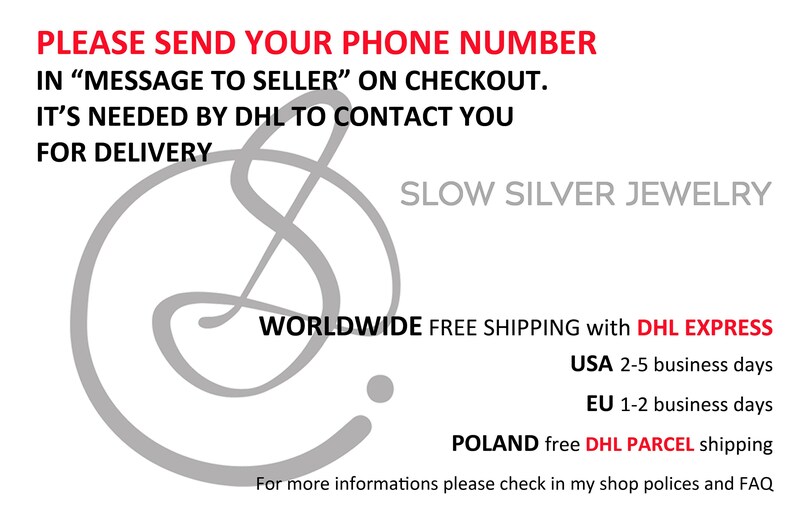 Next was Baltic amber earring and in the end - amber pendant. 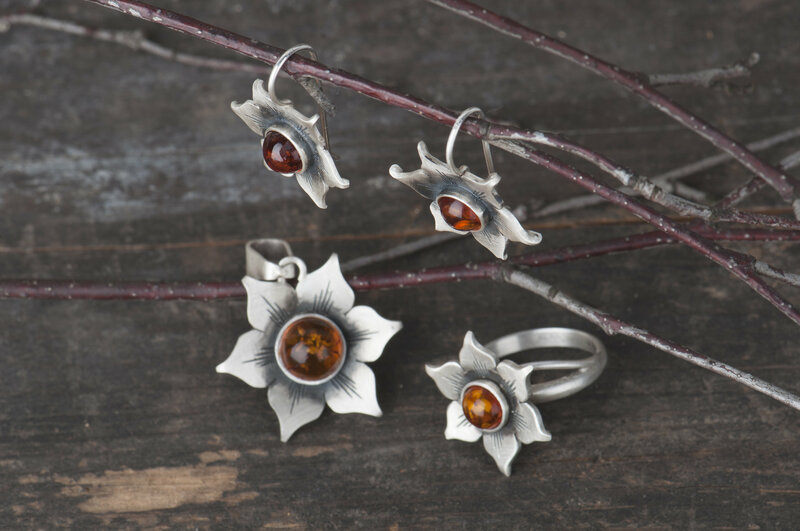 I hope that if you decide to order this floral jewelry set it will turn in something special for you just like it is for me.